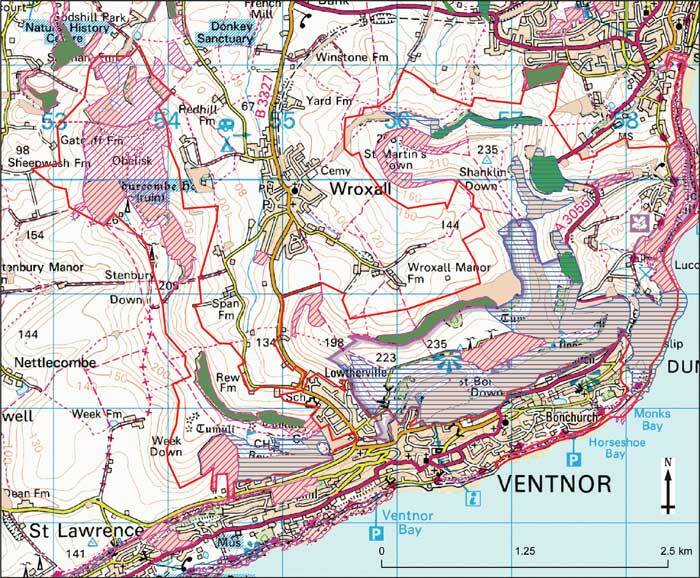 The high ground to the north of Ventnor and south west of Shanklin, extending as far north as the Appuldurcombe estate and including the coast from Ventnor to Shanklin Chine. 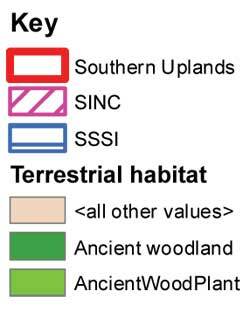 Isle of Wight Joint Character Area: Chalk downs, The Undercliff, traditional enclosed pasture. Rolling chalk downs with some heathland, sandstone hills and wooded slopes. Extensive holm oak woodland above Ventnor on the Undercliff. Chalk overlying sandstones, which are exposed on the northern edges. Landslip. Clay with flints. River gravels. Woodland bats; Early gentian; Adder; Red squirrel; Small blue; Grizzled skipper; Suite of soft cliff invertebrates including Chestnut click beetle and Glanville fritillary; White helleborine. Open access over part of the area.